This article is part of a series. You can read Rabbi Katz’s original post, Rabbi Rosensweig’s response, and Rabbi Katz’s responses to Rabbi Klapper and Rabbi Rosensweig. My deepest thanks and admiration to Rabbi Ysoscher Katz for his willingness and even eagerness to have the Lindenbaum Center publish this conversation, knowing in advance that my contribution would contain strong criticism. I trust that he and I will engage in this Torah battle with all our faculties and intensity for the sake of Heaven, and depart from it friends as when we started. ואת והב בסופה. Rabbi Katz recently released in Hebrew, and then in English translation, a responsum on the subject of aliyot for women. I contend that many of the arguments in his responsum are incorrect, and sufficiently implausible that they cannot be given any halakhic weight, meaning that they cannot be relied on even in extreme circumstances. My purpose here is to place the grounds for this admittedly strong contention before the broad Modern Orthodox public and scholarly community. Perhaps it will be shown that I have erred, or at the least, serious halakhic scholars will declare that they support his readings. Perhaps Rabbi Katz will reconsider, or explain how I have misread him. My firm conviction is that the correctness of halakhic arguments on this issue should concern everyone, whether they have already been convinced on other grounds that “Partnership Minyanim” are acceptable, or that they are unacceptable. More on this below. Readers who must know my own opinion regarding those other grounds are referred here. Here are my summaries of Rabbi Katz’s essential claims, substantiated by italicized quotations from the English version of his responsum. After setting them out here, I will respond to each in the next section. it does not mean that having a woman be קורא בתורה is forbidden, but merely that it is advised against. it does not mean to forbid having women who are already in shul read for the public. 3) When R. Yoel Sirkes (BaCH) writes that there is a formal rabbinic decree (takkanah) against giving women aliyot, he is simply mistaken. 4) There is no problem of religious factionalization – lo titgodedu – when one engages in a practice that everyone else should agree with, even if they don’t. 5) The prohibition of lo titgodedu does not apply at all in our day because our community is already so fragmented. 6) Rabbeinu Tam dispositively rejects all those who suggest that the original permission in the beraita applied only to the intermediate aliyot, which did not then require making berakhot. 7) Rabbis Aryeh and Dov Frimer in their article about women’s aliyot take the position that psak is simply a matter of choosing the side more authorities favor; that for this purpose, all recognized authorities count equally; and individual poskim may not follow minority positions even if they find them more intellectually convincing or socially necessary. “In short, they treat pesak halachah according to the method of “Sinai”, basing their ruling on quantitative adjudication rather than conceptual argumentation. Their attempt to prove that their approach is correct is built on a quantitative method of halachic ruling. They effectively claim to have studied everything that has ever been written by poskim on the subject of women’s aliyot. Having done so, they classified the opinions, counted them, and reached their conclusion on the basis of the opinion of the majority. There is no absolute way to distinguish in Hebrew between prohibitions and cautionary advice. Grammatically, one can claim that לא תרצח and לא תנאף are merely advice rather than prohibitions. is mere עצה טובה rather than a prohibition. This cannot mean that any scholar can arbitrarily declare any negative formulation to be mere advice. Rather, such a claim requires a tradition that such is the case and/or a strong argument from context. Let’s grant that אבל אמרו חכמים (just about) always means that there is some action that is permitted under a particular legal rubric, but the Sages say that it is nonetheless objectionable under another rubric. The question is whether that second rubric is always nonlegal (=advice), or rather can be either legal or nonlegal. R. Ysoscher cited examples which are probably nonlegal. This doesn’t help unless there are no examples that are definitely legal. So אבל אמרו חכמים can be legal, even when contrasted with a previous legal position. The fallback position is that it is not legal unless the term אסור is specifically used. This works only if there are no examples which are clearly legal even though they don’t use the word אסור. The next fallback position is that the formulation אשה לא is not legal. This works even prima facie only if there are no examples which are clearly legal. The last fall back is thatאבל אמרו חכמים [אשה לא] the grammatical form doesn’t mean אסור. But if it is conceded that this is the only case of that combination, and it is clear that the components separately can mean אסור, what is the basis for the argument? Aryeh, I briefly address all of the above in my teshuva. Some people have highlighted the fact that, in some sources, the phrase “But they said” implies a prohibition (Avodah Zarah 29b, Hulin 59a, and others). There, even though the word “forbidden” is not used explicitly, the prohibition is clear from the context. Yet in this case, it is obvious that this is a good, sound advice and not an actual prohibition. And even though the expression is the same in both places, the Rishonim have already written that the terms used by the Sages do not always mean the same things in every place (see Bava Metzia 2b; Tosafot, s.v. velihazei; Bava Kama 70a; Rashi, s.v. demihazei; and other places). In my humble opinion, this argument does not address the issue at all. We are therefore left with Rabbi Katz’s arbitrary claim, which he asserts is “obvious”, that this text should not be read as a prohibition. Note as well that Rabbi Katz makes no attempt to argue that any prior halakhic interpreter has read the text this way, and implicitly concedes that many have explicitly read the text as a prohibition. Here again, Rabbi Katz provides no evidence or precedent for his reading, which I think is based on an excessively literal reading of מביאין. Rabbi Katz then assumes that this Tosefta is offering the same rationale for excluding women as the beraita, and that therefore the kevod tzibbur of the beraita also applies only to women who are not present in shul. But even if he were correct with regard to the Tosefta, the language of the beraita cited in the Bavli leaves no room for this distinction. If so, on a halakhic level his reading is either incorrect or else irrelevant to practical decisionmaking, as a beraita in the Bavli takes halakhic precedence over one found in the Tosefta. Furthermore: Rabbi Katz does not contend that the Tosefta expresses advice rather than prohibition. Why not read the Bavli in light of the Tosefta on that issue? Furthermore: Rabbi Katz cites no evidence for his assumption that women were never present for Torah reading in Talmudic times (2). Megillah 22b, as explained by Rashi, seems to assume that women were present in shul for Torah reading. Yalkut Shim’oni Proverbs 943 discusses an elderly woman who receives long life for attending synagogue daily no matter what; there is no indication that she is unusual because of her gender, rather than for her diligence. When R. Yoel Sirkes (BaCH) writes that there is a formal rabbinic decree (takkanah) against giving women aliyot, he is simply mistaken. BaCH clearly held that the beraita contained a prohibition, and not mere advice. In the absence of any contravening view (and in any case BaCH is far from alone), the halakhic issue is settled. Note that the only ground Rabbi Katz provides for disagreeing with BaCH is his claim that the beraita does not contain a prohibition. There is no problem of religious factionalization – lo titgodedu – when one engages in a practice that everyone else should agree with, even if they don’t. Perhaps he means that there is no issue of lo titgodedu when one believes that the opposing position is indefensible. The prohibition of lo titgodedu does not apply at all in our day, because our community is already so fragmented. Here Rabbi Katz cites precedents, but I believe he misunderstands them. Rav Moshe Feinstein wrote that there is no issue of lo titgodedu in America today on issues such as tefillin on chol hamoed, where everyone acknowledges the legitimacy of multiple preexisting practices, and there is no basis for claiming that one custom is more established in a given American location. Rav Moshe never suggested that this would be true of new practices whose legitimacy is controversial, and I do not believe that anyone else in the halakhic tradition ever suggested it before Rabbi Katz did. Rambam and Rashi have opposing rationales for the prohibition of lo titgodedu. For Rambam, the issue is communal strife; for Rashi, the issue is the fear that there will no longer be a common Torah holding the halakhic community together. (4) Rabbi Katz does not explain which of these positions he is following, or whether his argument should work according to both. Rabbeinu Tam dispositively rejects all those who suggest that the original permission in the beraita applied only to the intermediate aliyot, which did not then require making berakhot. This is a minor point, but for the record, rishonim such as Rashba continued to hold this position after Rabbeinu Tam. Furthermore, from an academic perspective, it is likely not Rabbeinu Tam who rejects this reading, rather Rabbeinu Tam who suggests it and an anonymous Tosafist who rejects it. This is clearly indicated by Abudarham (5), for instance. Rabbis Aryeh and Dov Frimer in their article take the position that psak is simply a matter of choosing the side more authorities favor; that for this purpose, all recognized authorities count equally; and individual poskim may not follow minority positions even if they find them more intellectually convincing or socially necessary. This is of course a caricature, but also a lesson in the dangers of allowing polemic to infect halakic discourse. Rabbis Aryeh and Dov Frimer are well aware that different poskim have different weight, and that poskim do not always follow the majority of precedent. Confronted by articles on this issue which they thought went too far in following idiosyncratic extrapolations of minority positions, they tried to demonstrate that on this issue there is such an overwhelming consensus that no responsible posek could rule against it. Rabbi Katz reacts by setting up a false choice among extremes, and apparently contending that in fact any posek can make any decision he or she wants on any issue without any regard for textual or legal precedent and without any accountability to contemporary halakhic consensus whatsoever. I presume that this is a caricature of Rabbi Katz’s true position, but his language does not exclude it. For the record, Rabbis Aryeh and Dov Frimer actually offer what seem to me highly original arguments and readings. For example, they contend that the default halakhah excluded women from aliyot, but that the Sages then included them out of concern for the possibility that there might be circumstances where excluding them would mean that no keriah would happen, and then withdrew the new license out of concern for kavod hatzibbur. On those grounds, they argue that even the original Mishnah would not have permitted women to receive aliyot when, as in our day, the oleh does not actually read the Torah. I do not agree with all the readings and arguments in their article. But Rabbi Katz’s description of the authors as merely gathering well-known source material without creative analysis is unfair and untrue. In summary – Rabbi Katz defends partnership minyanim on the basis of a series of original textual readings and halakhic arguments. Some of these readings and arguments are merely arbitrary and unprecedented; I contend that most of them are demonstrably false. This critique does not mean that I think women’s aliyot cannot be justified in terms of technical halakhah; this was done many years ago by R. Yehudah Herzl Henkin, and I think his argument still stands. If the existence of a plausible technical justification is all that partnership minyanim need for halakhic legitimacy, Rabbi Katz’s arguments were and are unnecessary. But I think this the wrong standard. A sufficiently clever and competent advocate can come up with a technical halakhic justification for almost anything, and we do not want everything to be permitted. Rather, an essential role of psak and poskim is to choose among technically plausible positions, legitimating some but not others. For example, poskim should insist on the acceptance of heterim (permissions to remarry) for agunot even when plausible technical arguments can be made against them; and they should insist that tax fraud in the United States is forbidden halakhically even when plausible technical arguments can be made in its defense. Regardless, it is critical for the sake of the integrity of the process that we subject all arguments – for and against our preferred outcome – to rigorous halakhic analysis. The essential value claim Rabbi Katz makes, that a growing number of halakhic communities nowadays would not consider women’s aliyot to be a violation of the kavod of their tzibbur, seems correct. In the future, it may be possible to construct a viable halakhic defense of partnership minyanim on that basis. Similarly, there are plausible grounds for disagreeing with BaCH, and for doing so on grounds that would be shared by many other authorities past and present. Similarly, it is obviously correct that lo titgodedu is not an absolute bar to all new and controversial practices. But the existence of potentially stronger grounds for justifying women’s aliyot does not mean that we should give Rabbi Katz’s grounds a free pass, whether or not we think those other grounds are sufficient. In conclusion – Rabbi Katz hosted a conversation about this responsum on his Facebook wall. That conversation ended, to my mind, disturbingly. I and several other scholars suggested to Rabbi Katz that his reading of the beraita (claim #1) was an arbitrary rejection of all past readings of a crucial text, and that absent any evidence for his reading, it could play no role in practical halakhic decisionmaking. He responded by asserting that we were arguing from bias rather than evaluating his position with open minds. A halakhic decisor has to be accountable to a community of Torah scholars, or s/he is just playing G-d. If s/he cannot convince anyone in such a community – not of the abstract correctness of a position, but even of its plausibility as a basis for practice – and still maintains the position as a basis for practice, s/he is just playing G-d. If there is no overlap between what convinces one group of scholars and what convinces another, they are clearly no longer part of the same community. I fully agree that FB is not the whole community, nor is FB the community I wish to be accountable to. But I do believe that at least several of the people in this discussion would have been more than happy to be convinced by the reading, and to some extent this discussion is very likely to include the people most inclined to be sympathetic, as well of course as some who incline the other way. So if no one here is at all convinced, and the discussion is intellectually exhausted, R. Ysoscher, to what community of talmidot chakhamot are you accountable? Rabbi Katz to my mind did not give an adequate response, and the subsequent English release of his responsum took no account of our arguments. I have therefore taken the step of publishing this critique. I thank Rabbi Katz for his courage in starting this conversation, and look forward to seeing the truth of Torah emerge from the contention of scholars, whether or not my arguments prevail. Rabbi Katz contends that the essence of his teshuvah is the argument that aliyot do not violate kevod tzibbur, and that his reading of the beraita as mere advice is insignificant to the overall teshuvah. I disagree. In fact, the entire argument of the teshuvah rests on this point. His dismissal of BaCH (Claim #3) is entirely based on the claim that the beraita contains no prohibition, and his argument that women’s aliyot are permitted if they do not violate the self-perceived kavod of a tzibbur depends on the prior claim that there is no formal prohibition against such aliyot – in other words, on his rejection of BaCH. Rabbi Katz’s point regarding kavod tzibbur. If accepted, could be made the basis of a much more straightforward defense of women’s aliyot that would not depend on Claim #1. However, probably in order to avoid the thorny issue of whether rabbinic decrees outlive their rationales, he chooses to make it in a way that depends on that claim. 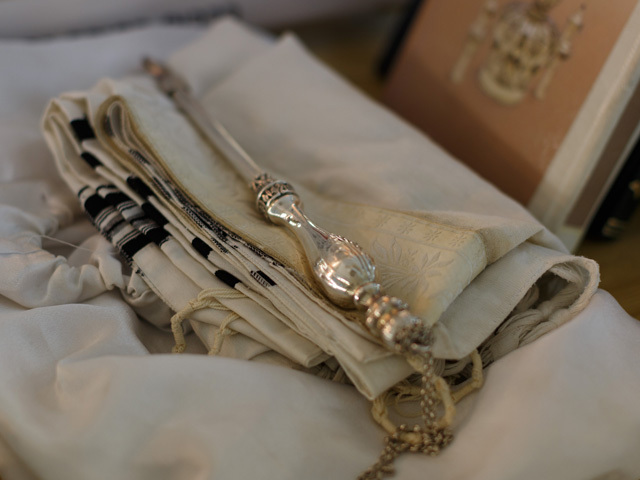 Rabbi Katz writes: “Women were not used to praying in synagogue (they would sometimes visit the synagogue area (see Avodah Zarah 38a; Yerushalmi, Sotah, ch. 1, halachah 4) but not take part in congregational prayer).” The two citations are cases where women were present in a synagogue, and nothing about the texts indicates that this was unusual. In the superb JOFA blogcast discussing this responsum, Miriam Gedwiser made this point directly, and Rabbi Katz said he would provide sources for his position at a later date. This point was raised by Rabbi David Brofsky in the JOFA blogcast. 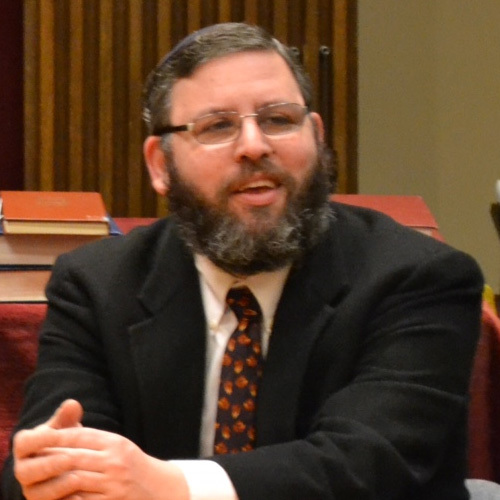 Rabbi Aryeh Klapper is Dean of the Center for Modern Torah Leadership, which develops present and future Modern Orthodox leaders through unique programs of intense Talmud Torah that catalyze intellectual creativity and educational innovation. CMTL brings rigorous traditional scholarship, interdisciplinary openness, and a deeply humanist understanding of halakhah to every aspect of Jewish and public life. For more of Rabbi Klapper's Torah, please browse www.torahleadership.org, like the CMTL Facebook page, or sign up here for his weekly Torah essay.